In a recent essay on this website, Chris Hoving suggested that conservation organizations should “think of spending on species conservation in term of an investment.” That idea really grabbed my attention, because I talk about investments all the time in my job. So, am I a stock broker? No. A financial advisor? Nope. I’m a climate change specialist with the USDA Forest Service and the Northern Institute of Applied Climate Science, and my job is to help foresters and landowners prepare their woods for climate change. Trees live for a long time – several decades to centuries, depending on the species – so managing and conserving forests requires careful long-term planning. In a lot of ways, managing a forest is like managing a retirement portfolio. Forests are assets that mature slowly over time, like retirement investments that grow over decades. Landowners also have a lot of flexibility to choose their management practices based on their individual goals, risk tolerance, and other factors. These goals and attitudes towards risk can change over time, just as your retirement investment strategy might change depending on whether you’re 30 or 60 years old. Adding to the metaphor, changing climate conditions and unpredictable weather events present risks for a forest, similar to the uncertainties in our chaotic and interconnected economic system. 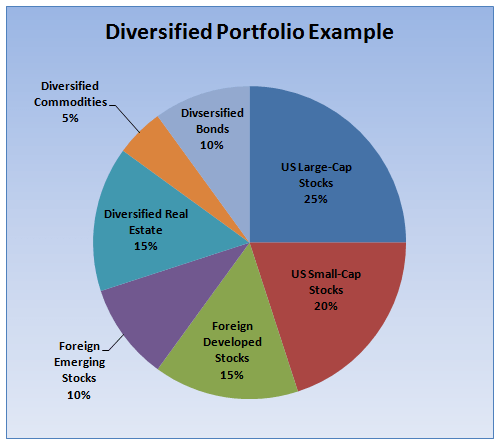 A generic diversified retirement portfolio breakdown. Keeping a mix of stocks, bonds, and other investments is a common strategy to reduce risk. Source: www.thecollegeinvestor.com. 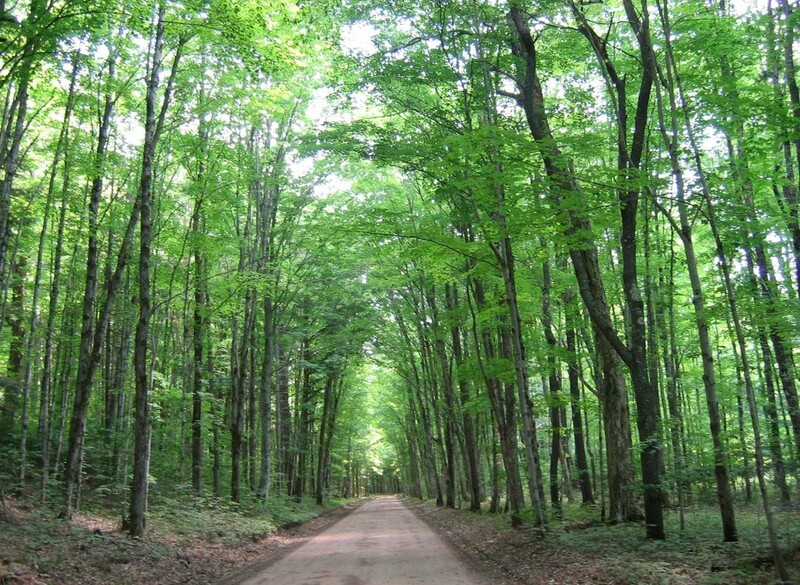 So what can our retirement portfolios tell us about how to take care of our woods? Well, regardless of whether you’re a risk-taker early in your career or cautiously nearing retirement, it always makes sense to have some diversity in your investment portfolio. As the old saying goes, “don’t put all your eggs in one basket.” It’s a losing bet to have all your retirement savings pooled into slow-growing securities, and it’s also a risky bet to invest all of your savings in the next “hot stock” like Facebook or Pets.com. Diversifying your investments reduces the chance that any one bad year (or series of bad years) will ruin your savings, and increases the chance that you’ll reap the benefit of a good year or growth in one kind of asset. Species Diversity: Forests naturally contain mixes of different tree species, and you can evaluate each species in terms of climate change risk. 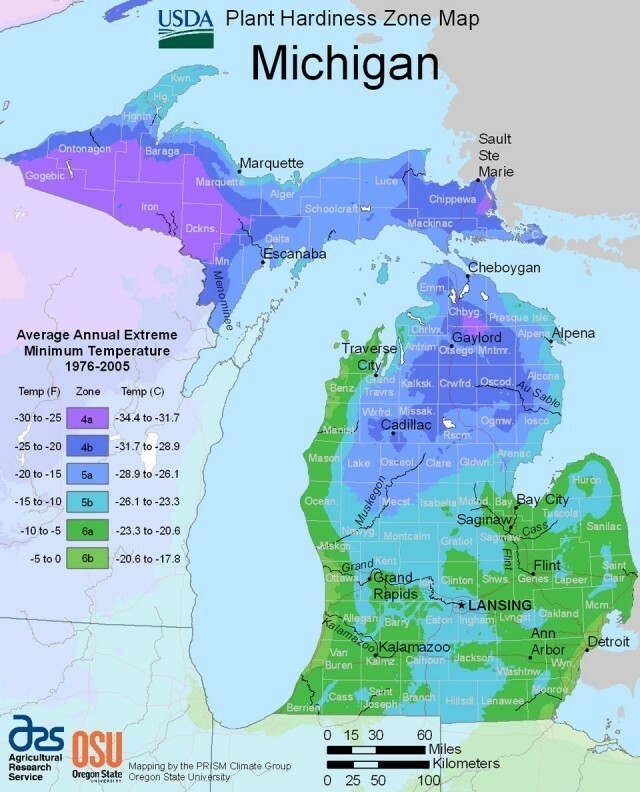 Northern or boreal species like quaking aspen, black spruce, and balsam fir are expected to decline in northern Michigan across a range of climate scenarios, while some species like red maple, white pine, and shagbark hickory are projected to do well. As a landowner, you should look for opportunities to maintain a diverse mix of species on your property – try not to have all your forest dominated by one or two species. A young aspen stand, which currently has a single age class. Keeping multiple age classes on your property or across a landscape is a way to increase diversity. Photo credit: Maria Janowiak, USDA Forest Service. USDA Plant Hardiness Zone Map. Planting tree seedlings from slightly warmer hardiness zones is one way to diversify tree species genetics. Source: USDA and Oregon State University. If you’re going to plant some new trees on your property, you may want to focus on species that are projected to tolerate future climate conditions. If you’re more cautious, you can plant native tree species that are already common but expected to do well in the future. If you’re willing to take risks, you can try planting tree species that are currently uncommon but expected to do well – perhaps even some long-distance migrants from southern Michigan! Genetics: Foresters are already used to thinking about genetics in their work, because they favor high-quality genes by retaining trees that have resisted pests and stress and remove trees that have succumbed to these factors. 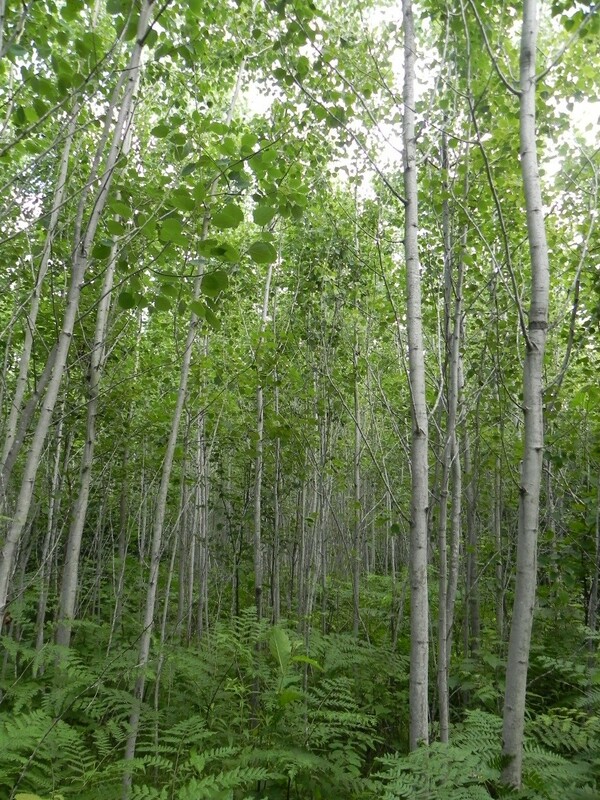 As a landowner, you might also notice that a certain pocket of aspen has withstood a drought better than another pocket, or that certain individuals of other species just seem to be superior. You can try to favor these high-performers through management. Additionally, if you’re going to be planting trees but you don’t want to use new tree species, you may be able to introduce some genetic diversity by acquiring seedlings from locations further south in Michigan. The idea here is that populations of trees that currently live in areas exposed to more heat and drought might have genetic adaptations that allow them to tolerate those conditions. Northern hardwoods forests can contain a dozen or more tree species, but are sometimes dominated by sugar maple or red maple. Photo credit: Hiawatha National Forest. Structure: The structure of a forest includes the horizontal spacing among trees (including gaps in the canopy) as well as the number of layers of vegetation (dead trees, forest floor, tree seedlings, young trees, sub-canopy trees, and dominant canopy trees). Keeping a diverse forest structure provides a variety of micro-site conditions that result in different amounts of moisture, temperature, shade, and ground cover. These different micros-sites can help different tree species to find their optimum growing conditions. Additionally, keeping several different age classes of trees on your property is another way to reduce risk, because trees are more susceptible to certain risks at different ages. For example, young trees are more susceptible to drought, while older trees might be more susceptible to insect pests. Keeping a few different age classes will reduce the chance that any one event will cause a lot of damage. Climate change will challenge Michigan’s forests over the next several decades, sometimes in unpredictable ways. We might not have all the answers for how to best prepare for the changes that are coming our way, but landowners and foresters will do well to encourage diversity. As a general rule of thumb, it’s a great way to reduce risk. And while you’re at it, go ahead and diversify your retirement portfolio, too!